The tracks from TVXQ’s upcoming single ‘OCEAN’, which is set to release on the 12th of June, have already become a hot topic. On the 10th, it was reported that TVXQ’s new song ‘OCEAN’ has been chosen as the theme song for four popular variety programs, including Nihon TV’s ‘PON!’ and ‘Music Dragon’. It was also stated that it is rare for one song to be chosen by many TV programs at one time. According to their official Japanese site (toho-jp.net), the second track of the album ‘Wedding Dress’ has also been chosen as the theme song for the BeeTV drama ‘The Greatest Proposal’. ‘The Greatest Proposal’ is a drama that depicts the proposals of four different men who visit a flower shop that is rumored to bring happiness to anyone who buys flowers from there. The drama will feature famous young stars like Osamu Mukai and will begin airing on the 20th of this month. Meanwhile, TVXQ kicked off their 5 Dome Tour on the 27th of April at the Saitama Super Arena and have become the first non-Japanese Asian artistes to do so. 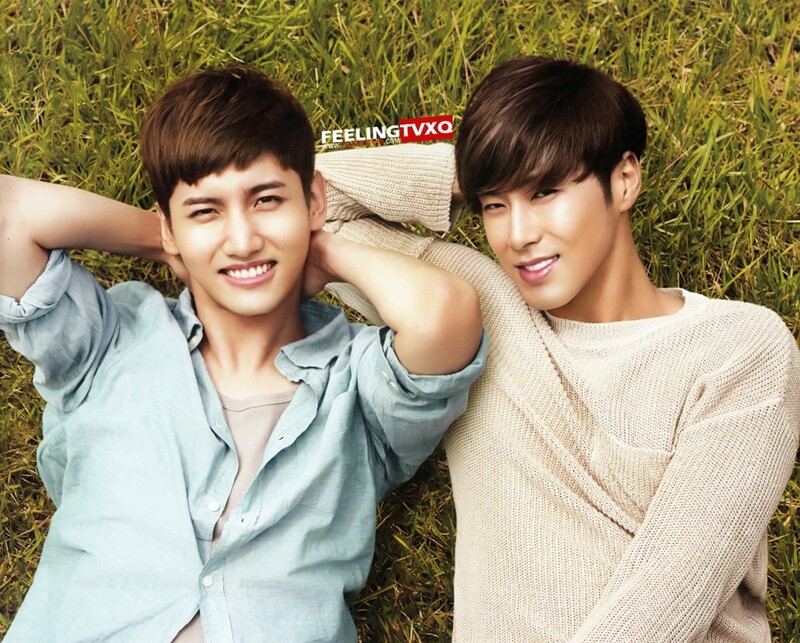 This entry was posted in 2VXQ, Dramas, INFO, Jung Yunho, Momma's Boys, Promotions, Shim Changmin, Song, The Arts, Translation, TVXQ and tagged 2VXQ, Changmin, HoMIn, ocean, OST, promotions, Theme Song, TV, TVXQ, Yunho by chaelwest. Bookmark the permalink.